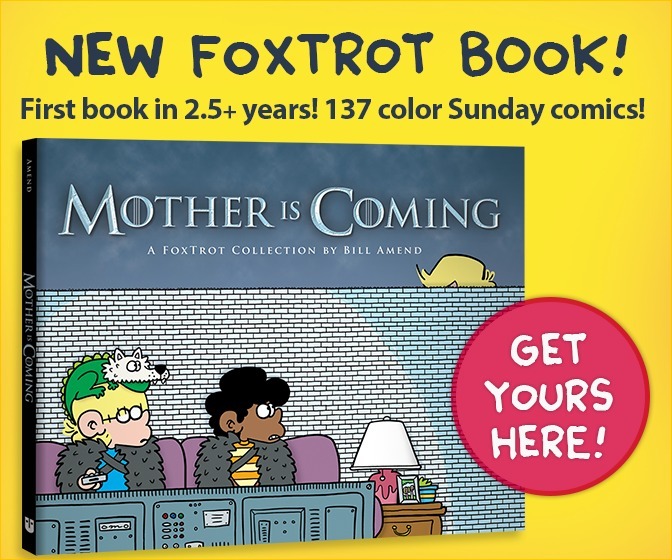 FoxTrot is a comic strip centered on a chaotic suburban family comprised of three kids, two parents and one iguana, and their frequent collisions with pop culture, school, life and each other. It is written and drawn by Bill Amend. New strips are currently published every Sunday. FoxTrot is syndicated to newspapers and other print/online publications by Andrews McMeel Syndication (formerly Universal Press Syndicate). Several dozen paperback collections have been published over the years by Andrews McMeel Publishing. 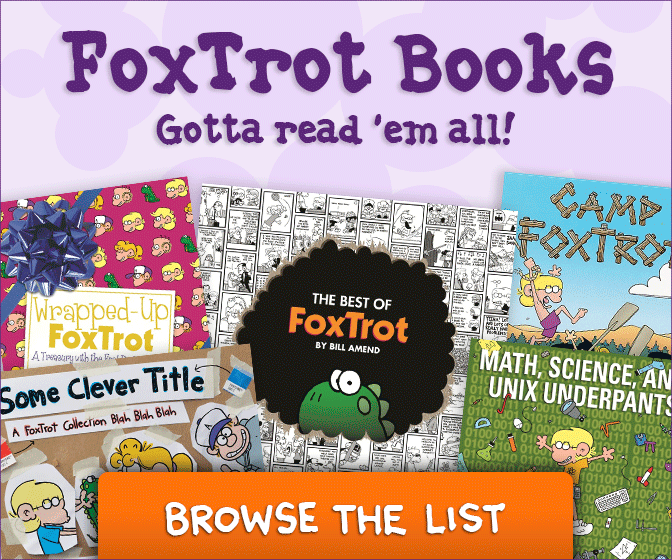 If you are new to FoxTrot and would like to read more than what’s included in this website’s archives, picking up one or more of the larger anthologies at a bookstore or library is probably the easiest method. In 2007, Bill was awarded the National Cartoonists Society’s Reuben Award for Outstanding Cartoonist of the Year. In 2012, he received the Inkpot Award for Comic Arts from the San Diego Comic Con. FoxTrot.com is owned and operated by FoxTrot Labs, LLC. The current design was built using the free Pinboard Theme for WordPress with customizations by Bill Amend. For more information check the FAQ page.